To help Pepperidge Farm bring to life a corporate commitment to active play for its tween-consumer, an integrated program, The Goldfish Games, was created. It revolved around a Web site with outdoor games kids could play, tools for inventing their own games, and a scoreboard that tracks playtime. 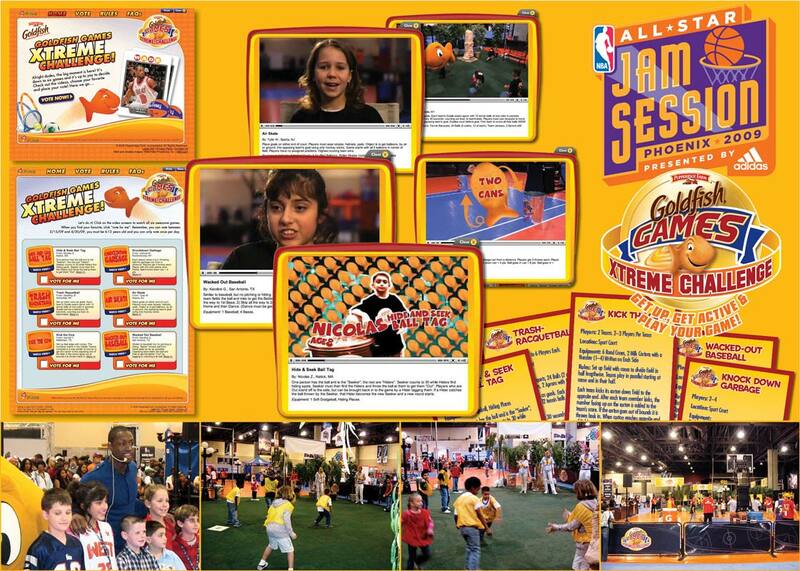 Tweens invented and submitted their own “Goldfish Games” for a chance to win a trip to the NBA All Star Game 2009, where they’d meet players and bring their game to life at the Goldfish Games Xtreme Challenge in the All Star Jam Session. Videos of the finalists’ games at the Jam Session were then posted online for nationwide voting. Steve Ingkavet is a Freelance Creative Director, Designer, Copywriter, Marketer and App Developer formerly of New York City; currently of Austin, Texas.